The band2FIT for Kids provides the resistance tool AND a kid-friendly workout imprinted ON the band that strengthens the body AND mind for increased fitness, attention and coordination. The American Academy of Pediatrics states that kids can start adding resistance to their “play” in the early elementary years. 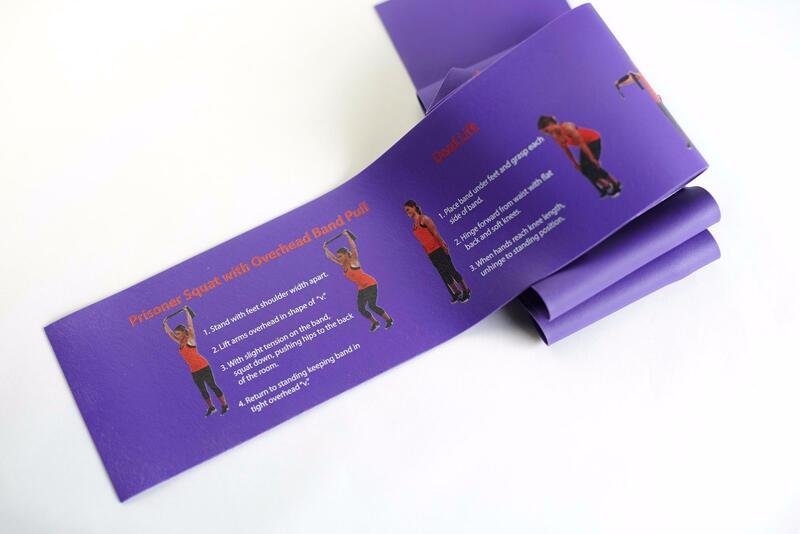 The band2FIT for Kids strengthens all major muscle groups, including hands and core, using whole body actions. Parents can get their workout in when “playing” with the band2FIT along with your child! The workout moves in a circuit format, starting from the left side of the band moving to the right. After warming up, perform 8-12 repetitions of each move for 1-2 circuits.